The Powerbeats3 don’t look all that different from their predecessors. There are a few tweaks here and there, mostly aimed at getting them to fit better. 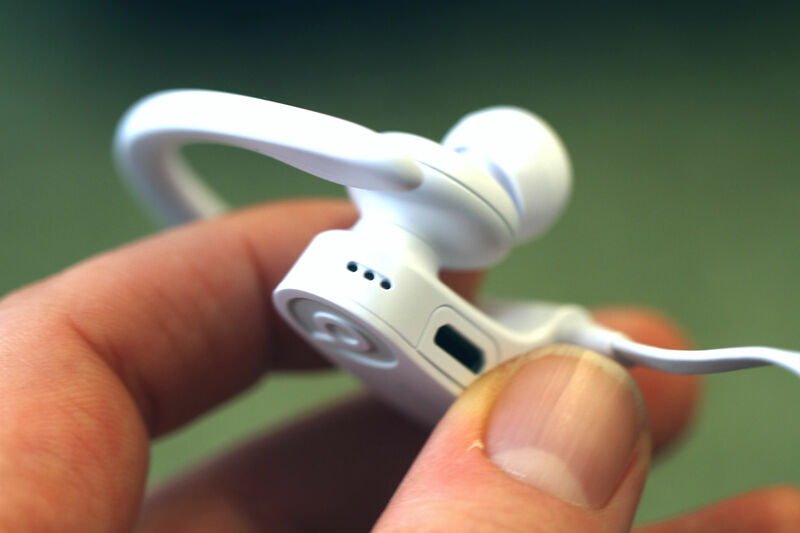 The primary distinction is tucked away inside, a happy addition to the Bluetooth earbuds that arrives as a result of the headphone company’s acquisition by Apple. While the brand wasn’t exactly front and center at the iPhone event back in September, it did get a little face time onstage. Its latest products also had a spot on the show floor, though in both cases, it unsurprisingly took a back seat to Apple’s own branded buds. But the new wireless Beats share one of the AirPods’ biggest selling points, the W1. The proprietary chip promises both more efficient battery life, moving from a stated 6 to 12 hours, along with the removal of one of Bluetooth headphone’s biggest pain points: the syncing process. Well, for Apple users at least. While the company has thus left branding untouched, the addition of the W1 chip is a subtle but unmistakable move by Apple to bring Beats into the fold. It’s the same old annoying syncing process with Android. If you own an iPhone, however, it’s pretty much instantaneous. When you first take the buds out of the package and hit the power button, a big white card pops up from the button asking if you want to connect. Press that big button where it says “Connect,” and boom, you’re connected. That’s pretty much it. Once that’s all settled, you get a small headphone icon at the top of the screen, between the battery and location icons. There’s no Bluetooth battery icon up there, but swiping up from the bottom gives you access to all of your connected Apple devices, along with their respective battery levels. The number also pops up each time you reconnect. 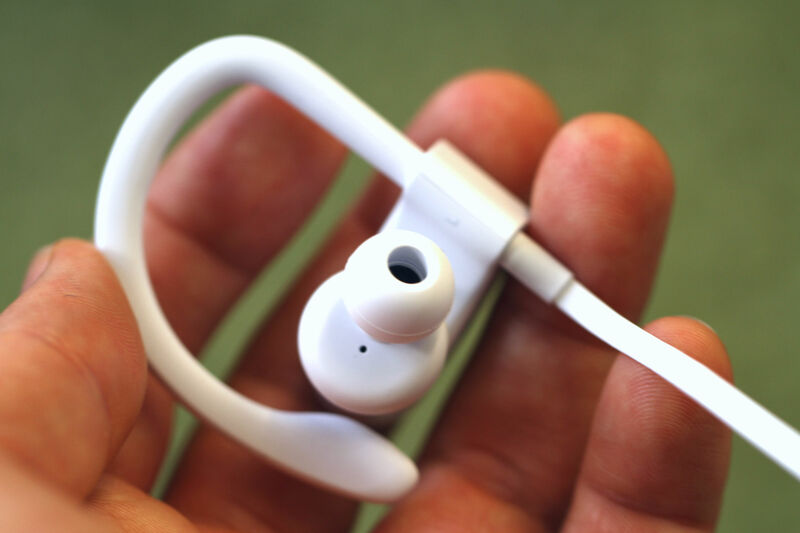 It takes the pain out of the connection process and, while it doesn’t make things any worse for Android users, it certainly makes the headphones that much more appealing for iPhone owners. The headphones sound decent for a pair of Bluetooth earbuds — certainly good enough for heading out to the gym or taking in some music on the morning commute. If you want something more substantial and fuller, there are a lot of options out there at the $200 price point, but the Powerbeats3 are perfectly suited for those moments when you’re on the move and don’t want to deal with walking around in a massive set of cans. The over-the-ear hooks do a good job staying put, as well. They look a bit like exaggerated eyeglass temples, looping securely over the ear and not moving during a workout. It’s easier to manage and more comfortable than the spikey wings that ship with a lot of the competition and a nice solution to the fact that all of the weight it located around the ears. As for the fit, I had some trouble forming a seal with the buds, owing likely to the relative stubbiness of the tips. While they fit in the ears fine, I just wasn’t able to position them to a point to really get the passive noise-cancelling going. 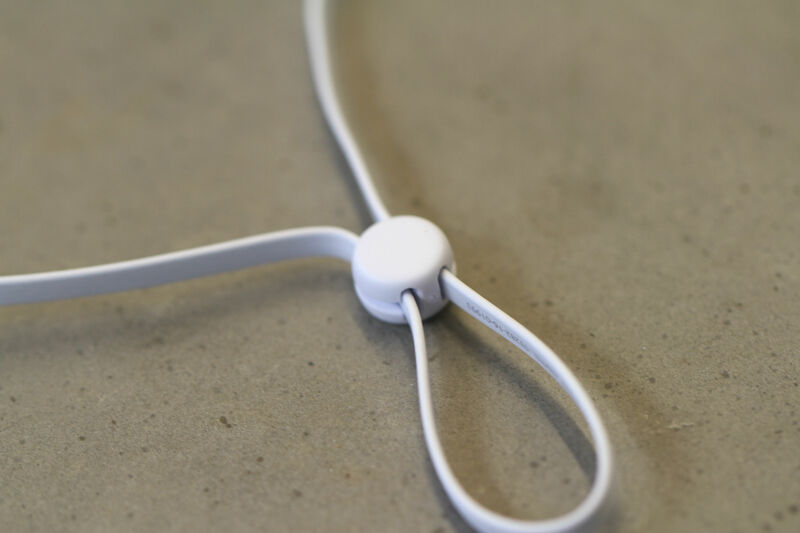 The headphone’s simple tie system — a plastic bead threaded through the cable — also beats the more complicated system Jaybird employs for altering the length of the cord for a better fit around the back of the neck. I wasn’t quite able to get the full 12 stated hours on a charge, but I made it through almost two days’ worth of standard music listening without having to recharge. 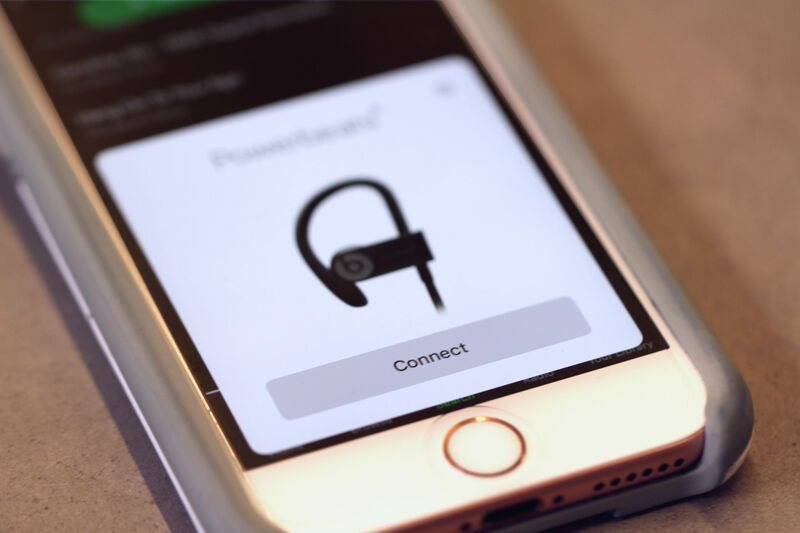 And when that time does arrive, the Powerbeats charge up fast, promising an hour’s worth of use in five minutes. And hey, couple them with Mophie’s Power Capsule case and you’re good to go for a while. The control panel has been streamlined and the buttons are plenty responsive. The on-board microphone still leaves a bit to be desired, however. If you make a lot of calls, I would look elsewhere, though it’s fine for switching over into the occasional quick conversation, assuming you’re not walking down a windy street. At $199, there are much cheaper options out there. Take the new Jaybird X3, which run $50 less. But the Powerbeats3 deliver some welcome upgrades over their predecessors, and the W1 makes them that much more appealing for iPhone owners.